Xbox and The Coalition are proud to announce the first-ever Gears Pro Circuit Atlantic City Open presented by Caesars Entertainment, in association with Ultimate Gaming Championship (UGC). The $200,000 Gears of War 4 Open LAN event will be the first of its kind in Atlantic City, and will be hosted at one of the leading East Coast casino-hotel destinations – Caesars Atlantic City, New Jersey – from Friday, March 31st through to Sunday, April 2nd. This 48+ team event welcomes both amateur and professional Gears of War 4 players from North America and around the world. Top teams from North America, Latin America, and Europe can qualify for pool play and travel coverage, with accommodations at Caesars Atlantic City Hotel & Casino on the famed Atlantic City Boardwalk. Tickets are on sale now for spectators and teams, and are available to purchase at ugcevents.com. Spectators can watch the top teams play on the main stage in the Circus Maximus theatre and experience the passion and energy of the pool play featured stations and open bracket areas. Spectator tickets include access to all areas. Open Bracket Teams: Registration & Warmup, Friday at 12 PM ET. Match start at 2 PM ET. Stream Schedule: Starts Friday at 4 PM ET, Saturday at 10 AM ET, Sunday at 10 AM ET on http://live.gearsofwar.com. Spectator Tickets: $20 for the weekend, click here to purchase. Non-refundable. VIP tickets also available. Team Passes: $200 for the weekend, click here to purchase. Includes five players and one coach. Non-refundable. Note: ALL pool play teams and open bracket teams that wish to attend must purchase a team pass. Qualified pool play teams will be reimbursed for their team pass after pool play roster submission and roster lock. No team passes will be sold at the door. All players, spectators and staff must adhere to the Gears eSports Code of Conduct. All players must be at least 16 years of age. Players age 16-17 must bring a signed parental consent form. To request this form please contact gears@ugcevents.com. Monday, March 13 at 3:00 AM ET – Pool Play Roster Submission Lock Date. Pool play rosters must be submitted and no roster changes will be allowed after this point. Teams will be notified if they qualify for pool play as well as for travel coverage if applicable. All submissions must include a valid team pass receipt. A form will be sent to the emails listed on the team pass registration for roster submission. Monday, March 27 at 3:00 AM ET – Open Bracket Roster Submission Lock Date. Teams who purchased a pass may change their rosters up until this date and time. Team rosters must be submitted and no roster changes will be allowed after this point. All submissions must include a valid team pass receipt. A form will be sent to the emails listed on the team pass registration for roster submission. Discounted hotel and food & beverage group specials are available all weekend. All players and spectators will be eligible for a raffle of rare Gears of War and gaming items taking place after the Grand Finals on Sunday. All spectators and players of age (21+) are welcome to attend an afterparty on Sunday evening celebrating the weekend. Click here for special hotel discounts, along with other activity, food and beverage packages from Caesars Atlantic City Hotel & Casino. We look forward to seeing both spectators and teams from around the world at the Gears Pro Circuit Atlantic City Open. 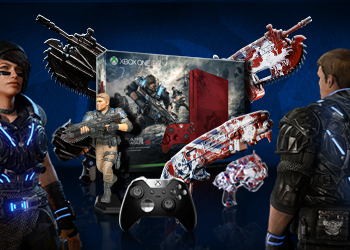 There’s no event like a Gears of War event! See you there. The Gears Pro Circuit is an open eSports circuit for Gears of War 4, presented by Xbox and The Coalition. Gears of War players can compete in marquee live open events around the world operated by world-class tournament organizers for a starting $1,000,000 in cash prizes. Players worldwide can earn “Gears Pro Points” by competing in regional online ladders and in daily and weekly tournaments. Gears Pro Points qualify players for open LAN events that take place around the world and are open to players of all skill levels and nationality. 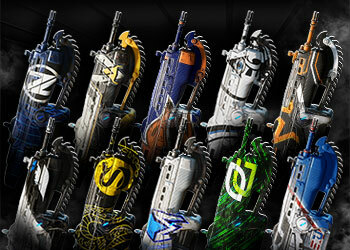 For more detailed information on the Gears eSports Pro Circuit and Gears eSports, please visit www.gears.gg. You can also follow us on Twitter at @eSportsGears and @GearsofWar or on Facebook at /GearsofWar. Reigning at the center of the Atlantic City Boardwalk with its 1,100 AAA Four-Diamond hotel guest rooms and suites, Caesars Atlantic City sets the standard for excitement and luxury on the East Coast. Highlighted by a stellar culinary offering including acclaimed chef Gordon Ramsay’s first restaurant in the area, Gordon Ramsay Pub & Grill; Nero’s Italian Steakhouse, Morton’s and the award-winning Kwi Noodle House. Caesars is additionally home to one of the finest entertainment venues in Atlantic City with the Circus Maximus Theater, and one of the nation’s leading spas, Qua Baths and Spa. Caesars Entertainment Corporation (CEC) is the world's most diversified casino-entertainment provider and the most geographically diverse U.S. casino-entertainment company. CEC is mainly comprised of the following three entities: the majority owned operating subsidiary Caesars Entertainment Operating Company, wholly owned Caesars Entertainment Resort Properties and Caesars Growth Properties, in which we hold a variable economic interest. Since its beginning in Reno, Nevada, 75 years ago, CEC has grown through development of new resorts, expansions and acquisitions and its portfolio of subsidiaries now operate 50 casinos in 13 U.S. states and five countries. The Company's resorts operate primarily under the Caesars®, Harrah's® and Horseshoe® brand names. CEC's portfolio also includes the London Clubs International family of casinos. CEC is focused on building loyalty and value with its guests through a unique combination of great service, excellent products, unsurpassed distribution, operational excellence and technology leadership. The Company is committed to environmental sustainability and energy conservation and recognizes the importance of being a responsible steward of the environment. For more information, please visit www.caesars.com. The Ultimate Gaming Championship (UGC), one of the eSports industry’s fastest-growing brands founded by members of the gaming community, provides cutting-edge production and exclusive media content. The UGC continually innovates to lead the way in multimedia broadcasting, live tournament organization, digital infrastructure, merchandising and experiential events. Learn more about the UGC at UGCevents.com. Event questions? Contact gears@ugcevents.com. What's up for grabs on-stream during this weekend's $150,000 Pro Circuit event, and how to win. 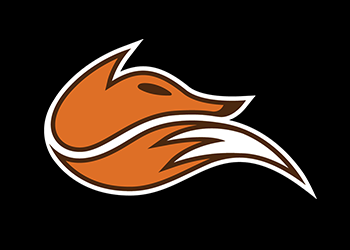 Well-established eSports organization Echo Fox has officially announced that they've joined Gears of War.